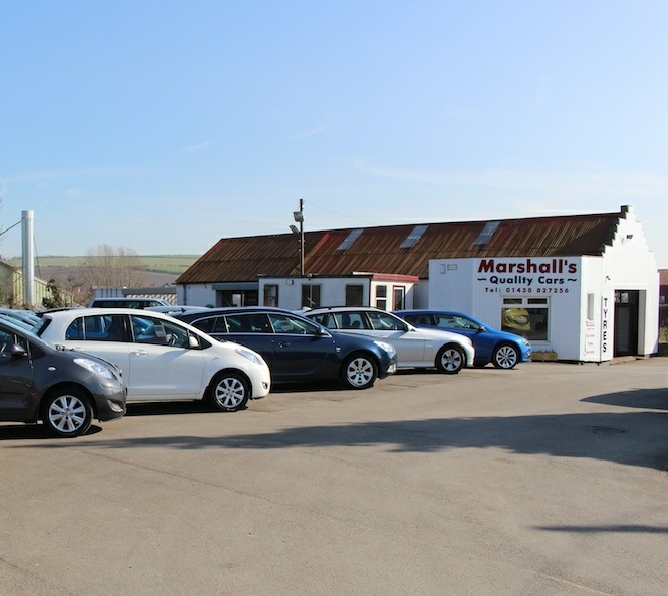 MARSHALL'S QUALITY CARS offers their clients something above other car dealers, in the fact that they are a family owned business and you will either be seen by Nick, Cheryl or Paul. By this you can guarantee that either Nick or Paul has genuinely cleaned and serviced the cars and Cheryl has completed the necessary paperwork. So between them they know all their customers personally. You'll find no pushy sales techniques, just genuine hospitality. The cars are displayed outside, where you'll find the prices ranging from the cheaper end of the market at about Â£1000 to the new end of the market at about Â£15,000. In stock at any one time is about 40 cars, people carriers or small vans. ALL CARS CARRY A WARRANTY. In addition to selling cars, there is a workshop that will carry out pre-MOT, service and repair work. All our car's are serviced and MOT'd (if required). The workshop side of the business has steadily increased over the years to the extent that we now employ Paul our full time mechanic to enhance the services we offer. MARSHALL'S QUALITY CARS are a licensed credit broker, details on request. Offer finance packages to suit all needs. So if you want to feel the benefits of the ultimate husband-and-wife partnership and level of professional expertise, visit Marshall's. ALL the cars purchased by MARSHALL'S QUALITY CARS are HPI'd, this enables any problems such as vehicles which have finance owing, stolen, written off or security watch to be addressed immediately and the appropriate action taken.